SAN FRANCISCO - Technology companies are privy to our most sensitive information: our conversations, photos, location data, and more. 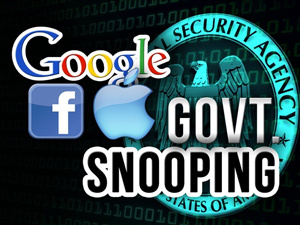 But which companies fight the hardest to protect your privacy from government data requests? Today, the Electronic Frontier Foundation (EFF) releases its fourth annual "Who Has Your Back" report, with comprehensive information on 26 companies' commitments to fighting unfair demands for customer data. The report examines the privacy policies, terms of service, public statements, and courtroom track records of major technology companies, including Internet service providers, email providers, social networking sites, and mobile services. "The sunlight brought about by a year's worth of Snowden leaks appears to have prompted dozens of companies to improve their policies when it comes to giving user data to the government," said EFF Activism Director Rainey Reitman. "Our report charts objectively verifiable categories of how tech companies react when the government seeks user data, so users can make informed decisions about which companies they should trust with their information." EFF's report awards up to six gold stars for best practices in categories like "require a warrant for content" and "publish transparency reports." Last year, just two companies we surveyed earned a full six stars – Sonic, a California ISP, and Twitter. This year, Apple, CREDO Mobile, Dropbox, Facebook, Google, Microsoft, and Yahoo all joined Sonic and Yahoo in receiving six full stars, and several others – LinkedIn, Pinterest, SpiderOak, Tumblr, Wickr and Wordpress – only missed getting all six stars because they did not have to bring public court battles on behalf of their users. This year, the majority of the companies surveyed have made a formal commitment to inform users when their data was sought, a welcome safeguard that gives users the information they need to fight on their own. This shows that the technology industry is adopting a best practice pioneered by Twitter, which in 2010 fought for the right to tell its users about a government order for their information as part of the WikiLeaks investigation. Additionally, 20 of the companies EFF reviewed published transparency reports detailing government requests for user data, which is a striking increase from last year, when only seven companies in EFF's report published them. This is now a new standard in the tech industry: corporations are actively and voluntarily working to shed light on the government attempts to access user data. However, it's not all good news in this year's report. Photo-messaging application Snapchat received only one star – particularly troubling due to the sensitive nature of photos and the company's young user base. "Snapchat joins AT&T and Comcast in failing to require a warrant for government access to the content of communications. That means the government can obtain extraordinarily sensitive information about your activities and communications without convincing a judge that there is probable cause to collect it," said EFF Staff Attorney Nate Cardozo. "We urge these companies to change course and give their users this simple and needed protection from government overreach." As part of this year's report, EFF collaborated with data analysis company Silk to help explore trends in government access requests. Silk's analysis provides a simple mechanism for reporters and the general public to explore corporate transparency reports, shedding light on which companies receive the most data requests, which companies push back against government data requests, and which countries are most aggressive in demanding user data. View the full report "Who Has Your Back"